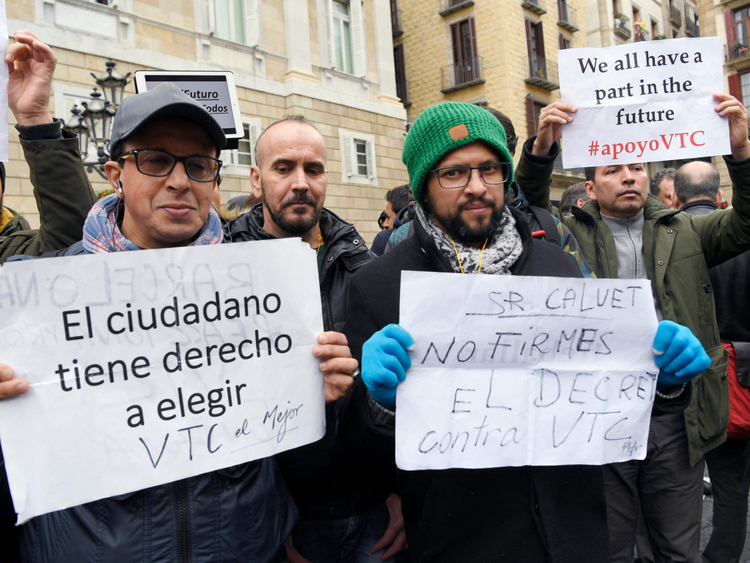 For the critics of Spain’s judicial system — and there are indeed many — there is a feeling that magistrates and prosecutors, and by extension many of the cases that come to court, are as a direct result of political preferences and persuasion. Certainly, at the very lowest level of local government here, there is a tradition of denouncing neighbours and businesses to local authorities and the local police. Yes, policing in Spain is a complicated affair, with there being a local police force at municipal level, sometimes a regional police force, then there’s the Guardia Civil, and there’s also the National Police, who tend to look after ports, airports and points of entry among their other duties. Denouncing is a fancy say of officially complaining, and it means police can interfere in matters as trivial as fixing a private driveway that adjoins a local road, or enforcing bylaws that cover everything from dog licences to noise infractions. If you’re well-gotten with police — readers in the Middle East will be familiar with the term ‘wasta’ — you hold sway over neighbours in a manner than can be both frustrating and annoying. Place a brick on a plot or put a shovel in the ground without permission, the neighbourhood watch and then by extension the local police, are on to you. So, imagine then if you will, the pressure that Spain’s judicial system exert when it comes to trying the case of 12 Catalonian separatists who were charged — nine have spent the past 15 months behind bars — for playing key roles in organising what the government in Madrid and its courts said was the illegal independence referendum of October 2017. The trial in the Supreme Court of Madrid for the Barcelona dozen is expected to begin on February 5 and could last three months or longer. Spanish legal experts expect a verdict in August and, if as is widely expected, the 12 are convicted, the reactions and ramifications in Catalonia will indeed be very significant, opening once again the fissure between Spain’s second-most populous region and the central government in Madrid. As far as Madrid is concerned, the 12 face charges of sedition and rebellion, medieval-sounding indictments that could result in jail terms of 25 years behind bars. Nothing spreads independence fervour as quickly as a martyr to a cause — and for uncommitted Catalonians with lingering separatist sentiments, seeing political activists jailed for a quarter of a century simply for organising a plebiscite and engaging in political and democratic activity would indeed provide a new touchstone for yet more independence protests. While the 12 were charged while Spain’s previous prime minister, Mariano Rajoy, was in power, the current government has allowed those indictments to proceed and is not interfering in due judicial process. Rajoy was ousted from power in a corruption scandal and no-confidence motion some 10 months ago, but he had taken a very firm line against the Catalan separatists, playing hardball, sending in Guardia Civil reinforcements to Barcelona, and asking the Constitutional Court for a ruling to declare that the October referendum was illegal, just as it had ruled on the invalidity of a previous 2014 plebiscite. Madrid is determined that the prosecutions will send a message to any region that even thought Spain is a nation that is made up of 19 regions, it is indivisible and stands as one entity. For Galicians in northwest Spain — a people considered to be one of the seven Celtic peoples of Europe (the others are the Irish, Welsh, Scots, Cornish, Bretons and the Isle of Man) — it’s a message that is being heard loud and clear. So too with the Canarians, whose brief dalliance with violence indirectly contributed to the world’s deadliest plane crash between two fully loaded Boeing 747s on the island of Tenerife four decades ago. For Catalonians, however, the prosecution of the dozen have turned them into heroes, and resulted in regular mass protests with chants of “Free political prisoners”. The European Union (EU) is watching the case very closely too. Brussels doesn’t want to be seen to be interfering in the internal affairs of a key member of the EU and the Eurozone, but there is growing disquiet at the prosecutions of people who were engaged in democratic political activity even if the referendum itself was determined to be illegal by Madrid’s Constitutional Court. After that plebiscite, in which 40 per cent of Catalonians voted and cast ballots — 90 per cent in favour of independence — the Madrid government used its federal powers to fire the Catalan parliament, rule the region directly, try to arrest separatist leaders and call new elections for the region — a ballot that not surprisingly saw the separatists increase their share of the vote, mostly due to the heavy-handed approach by Rajoy and Madrid. Now, the province remains highly polarised and Carles Puigdemont, the erstwhile leader of the separatists, remains in exile and out of reach of Spanish authorities, who have been thwarted in trying to extradite him back to Spain to face sedition and rebellion charges by the reluctance of EU courts to prosecute for political activity. For now, Madrid will settle with putting the dozen on trial next week.